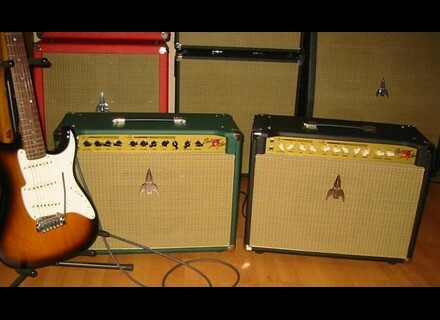 The Rocket 50 Mk II 1x15, Tube Combo Guitar Amp from Electroplex. 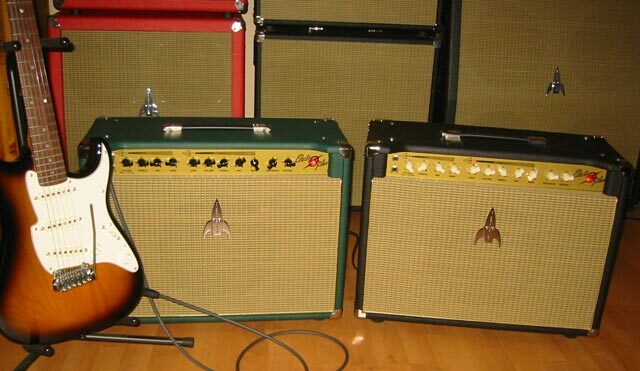 Electroplex Amplifers unveils the Rocket Mk II Series of all-tube amplifiers. With the features of the original Rocket series, the new Mk II series feature a new voicing for both the “clean” and “overdrive” channels. The original Rocket series voicing, to be designated as the “Rocket Mk I Series”, will continue to be available. The new voicing of the Rocket Mk II Series is designed to extend the bass response of both channels while keeping the distinct mid-frequency and high-end emphasis of the original Rockets. The result is a new “Rocket” experience: the new response is designed to give single-coil guitars such as Strat’s and Tele’s the punch and drive of humbucker guitars, while keeping the sparkle and chime that single-coils are famous for, according to the company. To launch of the Mk II series Rockets Electroplex is introducing the Rocket 50 Mk II 1x15 combo. This combo features a Weber 15” Blue Dog alnico speaker. [NAMM] Fender Limited Custom Shop Models The Fender Custom Shop has revealed five new limited models for 2012. [NAMM] Morley Buffer Boost Morley announced the release of its newest product – the Buffer Boost. [NAMM] Ovation Celebrity CC29S-4C Ovation announces the addition of two new models to its Celebrity CC Series.